Chicken stock is a must have pantry essential for many recipes, including soups, stews, gravies, and stir-fry. Skip the store bought cartons and make and can chicken stock instead. Better Flavor: When you make your own chicken stock, you can choose fresh, quality ingredients that can give your stock so much flavor. You can also adapt the herbs to your tastes. Less Sodium: This salt-free canned chicken stock recipe is the perfect foundation for flavor creation. Many store bought stocks contain chemicals and lots of sodium that may make your dishes too salty. Salt isn’t necessary for preserving chicken stock. Since chicken stock is an ingredient, you can add your salt to taste along with the other ingredients when you prepare your recipes. Less Waste: Making your own chicken stock is a great way to squeeze out extra flavor from bones and vegetable scraps that may go to waste. Frees Up Freezer Space: Canning chicken stock frees up freezer space because pressure canning makes the stock shelf stable. Simply store in your pantry or food storage area until you are ready to use in your favorite recipes. Save your chicken bones in the freezer: Save all the chicken bones from meals in several freezer bags until you have enough accumulated to turn into a batch of canned chicken stock. 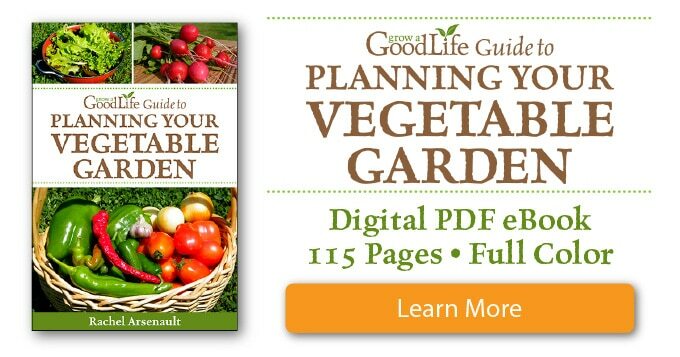 Save vegetable scraps: Additionally, save vegetable scraps to use in making stock. I keep a gallon sized freezer bag in the freezer and onion ends, trimmed celery, carrot pieces, parsley stems, and garlic ends. When the time comes to make stock, I just pull out handfuls of what I need for each recipe. Roast your bones and vegetables: Roasted chicken bones add a rich flavor to your chicken stock. Roast your chicken bones and vegetables in the oven until they are nice and brown, and then simmer into a flavorful stock in the saucepot. Take your time simmering the stock: The longer the stock slowly simmers; the more flavor is extracted from the chicken bones and ingredients. If you plan on a two-day process to make and can the chicken stock, you will have plenty of time to simmer the stock and cool it in the refrigerator overnight. 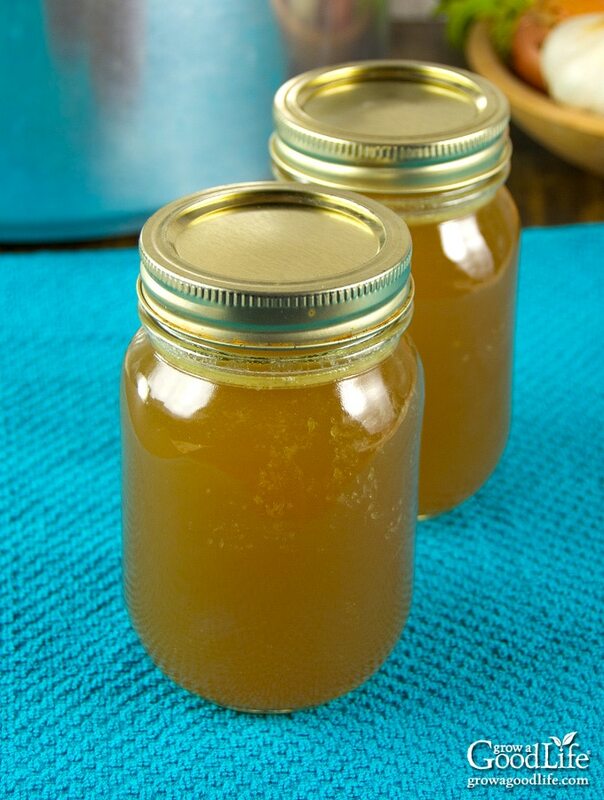 Once the stock is cool, the fat rises to the top and can be easily removed before canning. Remove the usable meat and pull the chicken bones apart with your hands or use kitchen shears. Place the bones into a large roasting pan. Layer your vegetable pieces on top and roast in a hot oven until the veggies are slightly charred and the bones are nice and brown. Remove the roasting pan, and place the bones and vegetables into a large stockpot. Add a cup of the water to the hot roasting pan to deglaze the pan. As the water steams, scrape the pan with a wooden spoon to release the flavor infused brown bits stuck to the bottom of the pan. Add the flavorful liquid to your pot. Add the remaining ingredients to the large pot and top with water. Bring the pot to a boil over medium-high heat. Reduce the heat to low and simmer for at least 4 hours and up to 24 hours. While your chicken stock is simmering, it will release fat and impurities that will rise to the top as grey foam. The foam can affect the flavor of the stock if it isn’t removed. So skim it off every now and then as your chicken stock slowly simmers. When the stock is done, remove the chicken bones and vegetable pieces using tongs. Strain the stock through a fine-mesh sieve into another large stockpot or heatproof bowls. If using a large bowl, rinse the stockpot you used to make the stock, and pour the chicken stock back into the stockpot. Let the chicken stock cool and refrigerate overnight. Once the stock cools in the refrigerator, the fat will rise to the top and can be easily removed. The following day, slide a thin, flat spatula across the chilled bowl of broth and remove the fat layer. Removing the fat is beneficial for several reasons, your broth will be clearer and have less fat, but also there are fewer chances of the thick fat interfering with the seal as the jar is processed. Bring the chicken stock to a boil over medium-high heat, and then reduce to low and keep the stock warm until you are ready to can. Set up the pressure canner, prepare your jars, and organize your work area. Fill the jars with the chicken stock leaving a 1-inch headspace. Add the lids and process your canning jars in a pressure canner. Place the chicken bones into a large roasting pan. Scatter the onions, carrots, celery, and garlic on top. Roast the bones and vegetables uncovered in a preheated oven until the vegetables are slightly charred and the bones are brown, about 35-45 minutes. Stir about halfway through to help brown evenly. Remove the roasting pan from the oven. Use tongs to transfer the bones and vegetables to a large stockpot. Add 1 cup of water to the hot roasting pan to deglaze the pan. As the water steams, scrape the pan with a wooden spoon to release the flavor infused brown bits stuck on the bottom of the pan. Add the liquid to your pot. To your stockpot, add bay leaves, sage, rosemary, peppercorns, and enough water to cover the bones by a couple of inches, about 4 quarts. Turn the heat to medium-high and bring the pot to a boil. Reduce the heat to low and simmer for at least 4 hours and up to 24 hours. Stir occasionally and skim off any foam. Remove the chicken bones and vegetables from the stock using tongs. Strain the stock through a fine-mesh sieve into a large heatproof container. Discard the solids. Let the chicken stock cool and refrigerate overnight. Once the stock cools in the refrigerator, the fat will rise to the top and can be skimmed off. You will can the chicken stock the following day. Wash your jars and lids in warm, soapy water and rinse well. Place the jar rack into the pressure canner, set the clean jars in the canner, add water to the jars and fill canner to around 3-inches. Cover and boil jars for 10 minutes to sterilize. Warm your lids in a small pot of water over low heat. Keep jars and lids warm until they are ready to use. Remove the chicken stock from the refrigerator and skim the solidified fat from the surface. Return the stock to a large saucepot and bring to a boil over medium-high heat. Spread a kitchen towel on the counter. Remove the warm jars from the canner using your jar lifter, drain, and line up on the towel. Fill the hot jars with the hot chicken stock using the canning funnel and ladle. Leave a 1-inch headspace at the top of the jars. Place the jars into pressure canner on the canning rack. Leave space in between the jars. Once the jars are all in canner, adjust the water level per your pressure canner's instructions, usually about 2-inches. If adding water, use the hot water from the small pot you used to warm your lids. Follow the directions for your pressure canner and process pint jars of chicken stock at 10 pounds of pressure 20 minutes at altitudes of less than 1,000 ft. Process quart jars of at 10 pounds of pressure 25 minutes at altitudes of less than 1,000 ft. Adjust processing time for your altitude if necessary. When processing time is complete, turn off the heat and allow pressure canner to cool for about an hour. Spread a kitchen towel on the counter and check the jars. Unlock the cover of the canner, and remove it by tilting the lid away from you so that steam does not burn your face. If jars are still boiling, let them sit in the canner for another 5 minutes, or until the boiling stops. Use a jar lifter to lift jars carefully from canner and place on a kitchen towel. Let the jars cool for 12 to 24-hours. You should hear a "ping" as the jar lids seal. After 12 to 24-hours, check to be sure the lids have sealed by pushing on the center. The lid should not pop back up. If the lid flexes up and down, it did not seal. 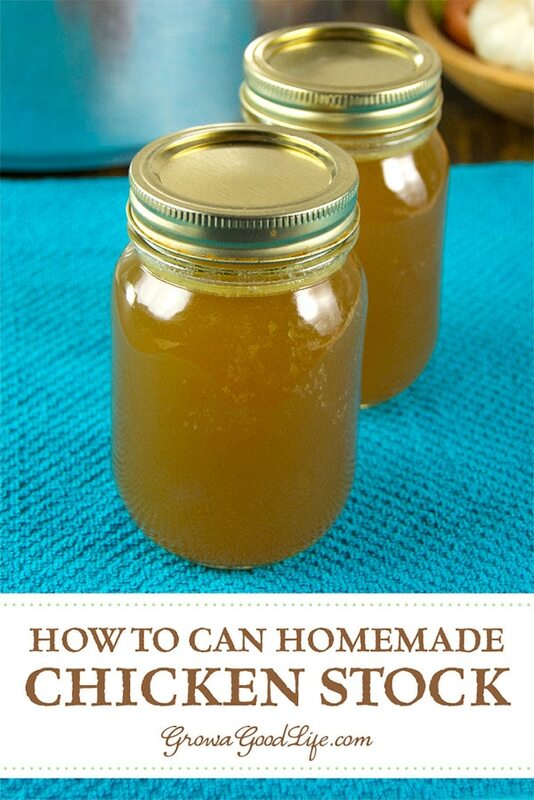 Refrigerate the jar and use up within a few days or freeze for longer. Once the jars are cool, remove the screw on bands and wash the jars. Label and date the jars. Store your jars in a cool, dark place and use within 12 months. Yields 8 pints or 4 quarts. Aiming for a Smaller Batch of Chicken Stock to Freeze? 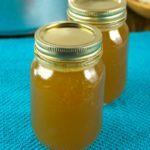 If you don’t have enough bones for a big batch, or don’t want to fuss with canning, you can freeze chicken stock instead. 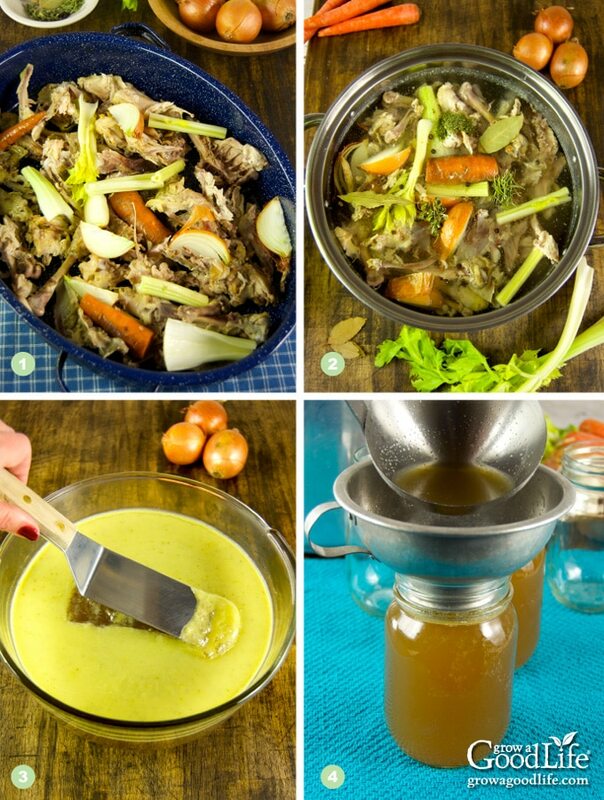 Check out Homemade Chicken Stock 3 Ways on our sister site. 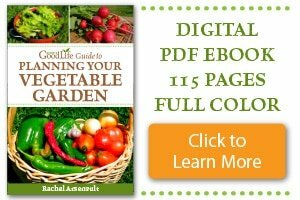 It includes instructions for making stock with a slow cooker and Instant Pot pressure cooker. Great idea to can the stock. I usually just leave it in the refrigerator, have to make it more often. I also add one turnip. 1 rutabaga.1 celery root and a daikon radish Soo good. The root veggies must add a wonderful earthy flavor.